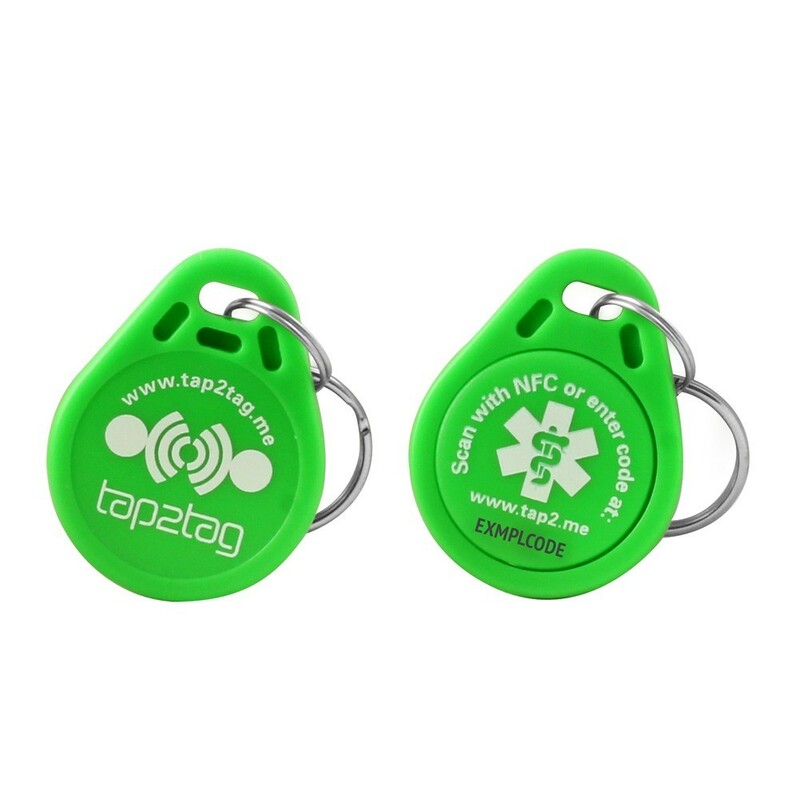 The Tap2Tag medical keyfob uses NFC technology to allow paramedics and other health professionals get access to your medical information quickly and efficiently. It can also be accessed with any device that has access to the internet, anywhere in the world. It's durable and effective. However you can also use it to display a message to anyone finding your keys to help them get the keys back to you. 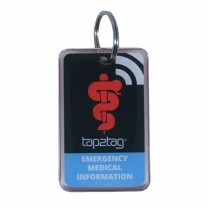 The Tap2Tag Medical keyfob comes in one design but four different colours. 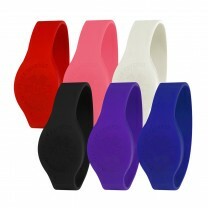 It measures 30mm in diameter and is made from a durable plastic that is particularly hard wearing. It also comes with a double metal clasp so that it can be easily attached to a set of keys or a back pack. 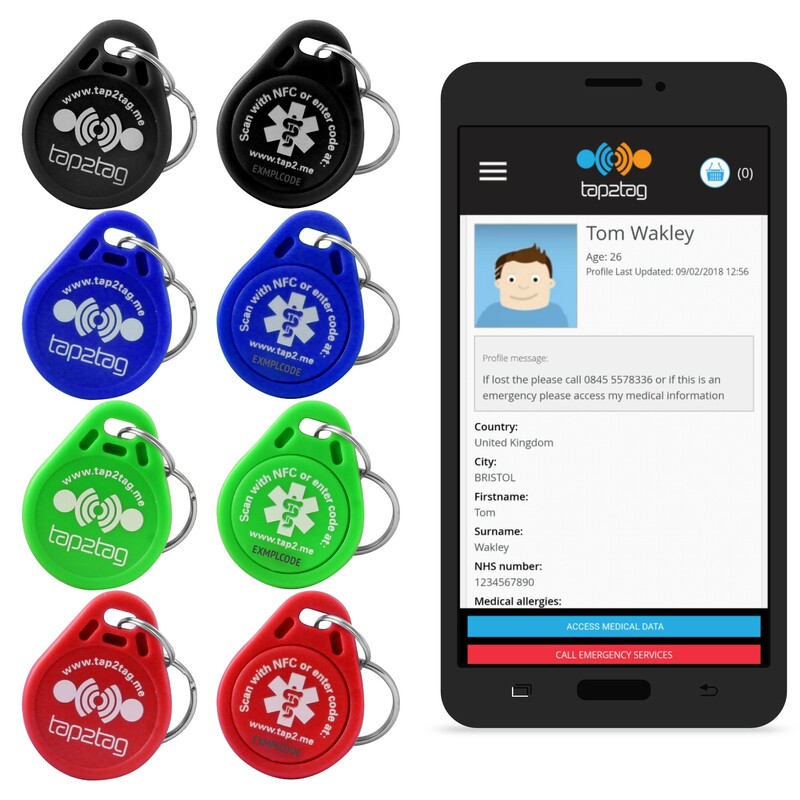 The keyfobs come in four distinct colours, Black, Blue, Green and Red. They are not overpowering and provide a subtle adornment to your keyring! The keyfobs contain an NXP NTAG203 chip (168 bytes). The chips are locked to prevent over-writing of the information. 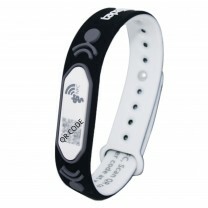 Any attempt to over write the data will invalidate the data and make the wristband inactive. The wristbands have no internal source of power and rely on the NFC data transfer abilities of an NFC enabled device to access the information on the chip. The keyfobs are tough but not indestructible. 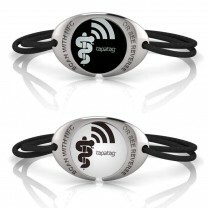 Unlike our wristbands these are not fully waterproof but are splash proof. Exposure to temperatures over 60 degrees Celcius may impact on the performance of the tag so please do not put them in the oven! Besides acting as another medical device it can also be used to help you get your keys back it they get lost. 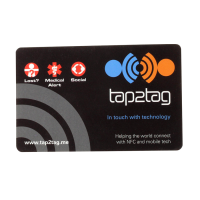 One of the benefits of the Tap2Tag Medical system is that those people that tap your device can see a public message before they access your medical data. One message might read "If this device is attached to my keys and it is clearly not a medical emergency it is likely I have lost them. Could you give me a call on 0207 xxxxxxx to return them?" We suggest that anyone with a hidden medical condition, rare blood type or just want to be able to tell people who to contact in the case of an emergency should have a medical device. 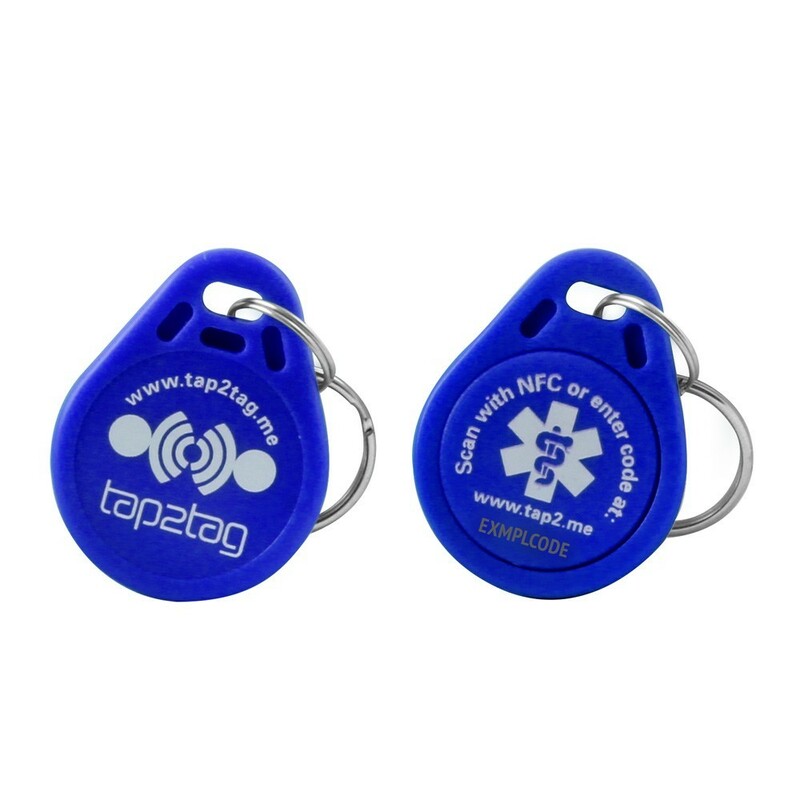 The Tap2Tag Medical keyfob provides a simple, cost effective, durable and extensive method of meeting your medical requirements.